I bought a Volkswagon from Bobby Stahr in Morristown, NJ. I borrowed a tow hitch so I could tow it to my home in Mine Hill, NJ. The safety chains on the tow hitch wouldn't reach the vehicle doing the towing, so I didn't bother trying to attach them. At the bottom of the hill from my house (where Jackson's Brook crosses underneath), I passed from Randolph into Mine Hill - and there was a corresponding change in the road pavement.....just enough to jostle the tow bar off the hitch. 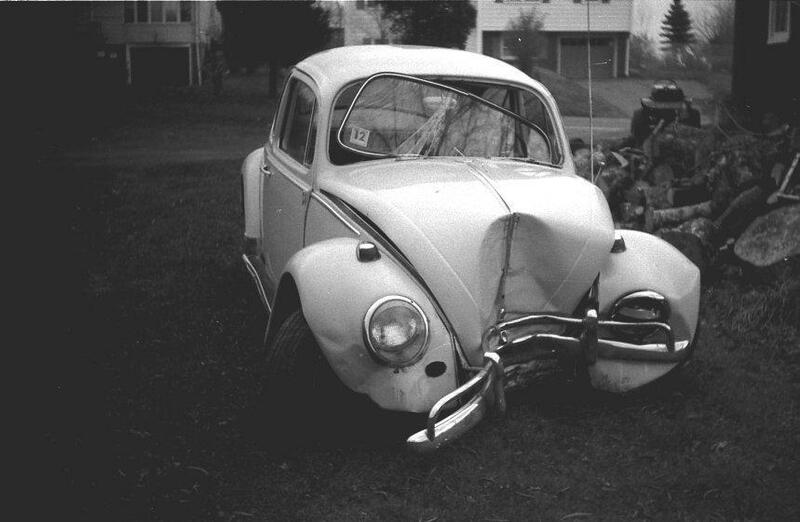 I recall watching my new (to me) Volkswagon in my rear view mirror - as it got farther & farther away...and finally into a tree.